Google. It is the single most famous name in the tech world, right there along with Microsoft and Apple. Google is tasked with the burden of facilitating the evolution of mankind, and thus, the general population demands constant, consistent innovation. Initially starting off as a trusty search engine, they have diversified and experienced seemingly exponential growth, offering a multitude of products ranging from videoconferencing, online advertising and photosharing to computer security, travel and even online payment technology. Some would argue that the only reason Google is able to provide such inspiring products (google earth, android system, mobile phones, etc) is mainly through acquisition of startups or small companies. But hey – as long as they get the job done, it’s all good, right? Does it really matter, if one company has such a huge breadth of product range, which has the potential to envelope our daily life as we know it? Probably not, but then, Google just acquired eight robotic firms, and among them, the real talking point was the acquisition of Boston Dynamics. Who is Boston Dynamics, and what do they do? 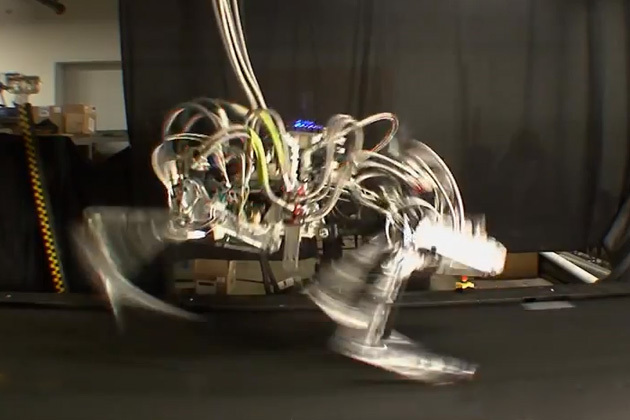 Boston Dynamics is a robot design and engineering company, which was created as a spin off from Massachusetts Institute of Technology by Prof. Marc Raibert, in 1992. They are at the forefront of robotic technology, as they claim that they make the “most advanced robots in the world”. They mainly create self balancing humanoids and bestial robots. DARPA (US Defense Advanced Research Projects Agency) is their primary benefactor, along with the US army, navy and marine corps. 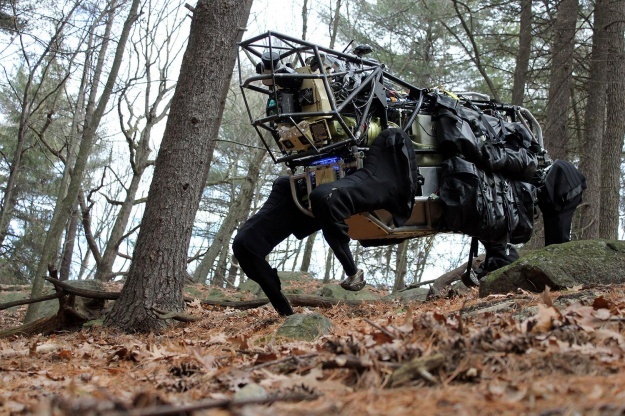 Some of the assets of Boston Dynamics include BigDog, which is a large quadruped, walks like a dog and can carry things while navigating a terrain. Another of their prized possession, which now belongs to Google is the Cheetah, which is the fastest robot in the world and can do 29 mph (and that is faster than Usain Bolt!) without breaking a sweat. Google has also mentioned that they would honor the contracts in place with the US armed forces, which would open ways for Google to have a say even in the battlefield. What does it all mean, now that Google is getting into the robotics business? Make no mistake, Google is certainly not a stranger to the robotics business. Since its inception in 2009, Google’s robotic car project has yielded great results without any incidents. However, with their recent acquisition of robotics companies, Google is looking more towards the future, both nearby and distant. Analysts and other sources indicates that Google would most likely use their robotics arm for industrial purposes – automation of warehouses could be the most likely and most immediate area of focus. 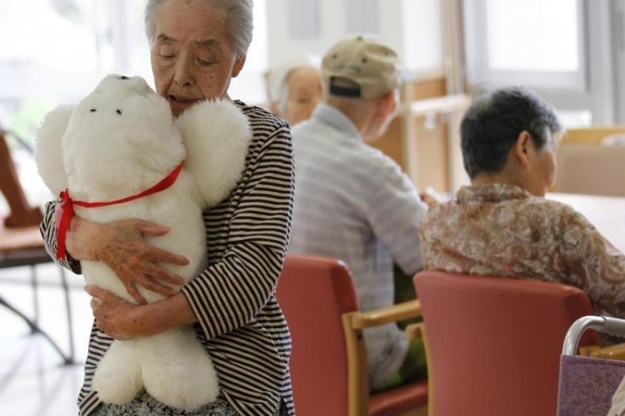 A more interesting avenue would be if Google decided to venture into the care giving business, combining their sophisticated artificial intelligence with Boston Dynamic’s slick humanoids and robots, to provide “therapeutic robots”, much like Paro, the robot pet already proving quite effective in elderly care giving. A more ambitious arena might see Google actually offering “Googlebots” as the greatest Christmas present of the nearby future. Skeptics have already sent out warnings of the hazards of having such a devise in every home, where these bots would effectively have access to everyday information of any given family, and might transmit them back to Google’s already huge information database, killing off privacy as we know it. A more likely possibility might be Google simply giving away the technology and earning money from licensing systems and patents.